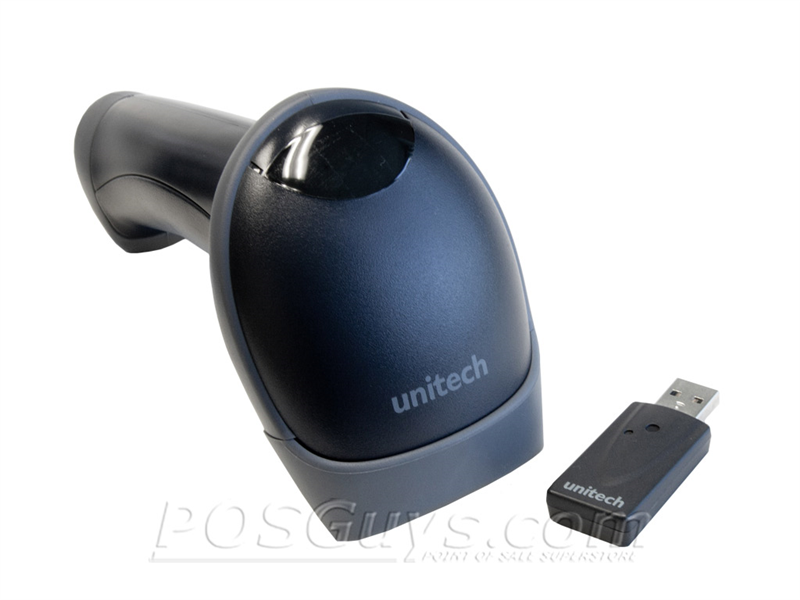 The Unitech MS840P cordless scanner gives your business an easy and affordable way to scan barcodes from away from the workstation or checkstand. 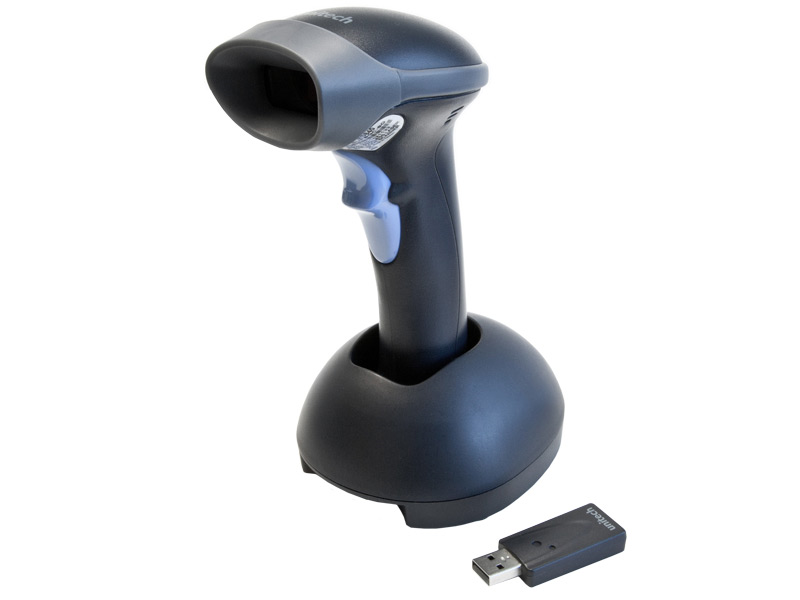 The sturdy scanner's build quality makes it an ideal fit for rough retail or even light industrial scanning applications. Using a laser scan engine, the MS840P can read standard retail barcodes from up to two feet away, making it easy for users of all skill levels to get a quick read. It can also read barcodes as small as 4 mil, terrific for manufacturing barcodes or those on medical equipment. With a scan rate of up to 104 scans per second, the MS840P ensures fast and accurate reads every time. The wireless radio in the MS840P runs on a proprietary 2.4 GHz channel, providing connection to the included USB dongle. A radio range of 33 feet gives you the freedom to leave the workstation, scanning products too heavy or awkward to bring to the counter. And because the scanner uses proprietary communications, you can be sure the data you scan only goes where you want it to. 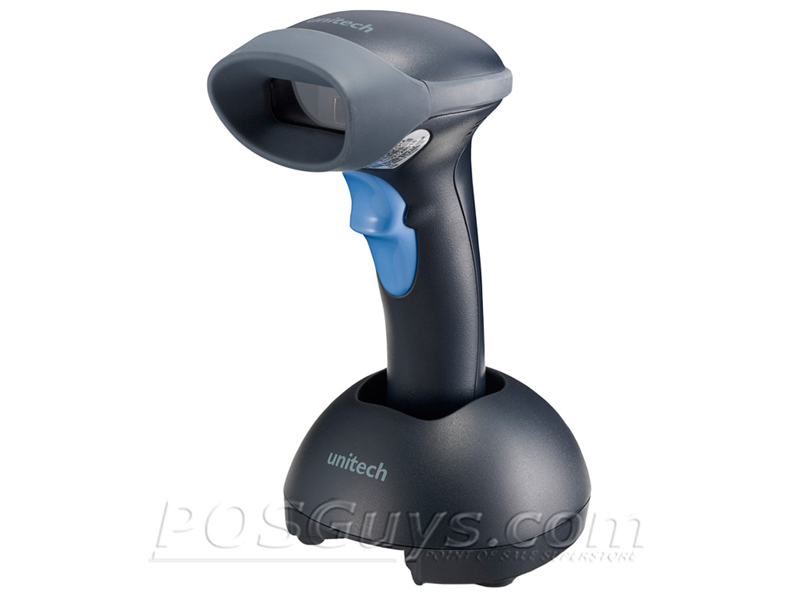 Unitech built the MS840P to handle light industrial use with ease. The barcode scanner is reinforced to IP42 seal standards, preventing dirt & water splashes from harming internal components. The rugged design protects the scanner from drops of six feet to concrete, extending the life of the unit even after drops off counters or shelves. Shipping with a 1-year warranty standard, the Unitech MS840P offers reliable performance at a smart price. Find it faster! Click here to compare MS840P models by feature.